Friday Five Favorites + weekend workout! Happy Friday! What an amazing – and long – week! I’m excited to recap this week in my five favorite moments. 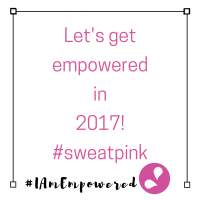 PLUS, a workout by yours truly, #sweatpink, & Hedstrom Fitness. Let’s get feisty! Women’s March on Denver! A sure highlight of this week was marching in downtown Denver with my law school besties, Anna…… Continue reading Friday Five Favorites + weekend workout!